A few years ago, “incubation” wasn’t a term you really heard in CPG at all. That’s definitely changed. Whether it’s Big CPG or a venture capital firm, the big strategics are trying to get closer to that early stage innovation, and incubation is one way to do that. The list of brands finding success within the incubator model seems to be growing exponentially. Chobani has come around and turned this model on its head. This week we have Jackie Miller, the former Director of the Chobani Incubator, which is taking a totally a radical approach. They provide a sizeable grant to the brands in their program – with absolutely no strings attached. They provide community, mentorship, all the resources you’d expect and more, but they don’t don’t ask for any equity in return. How is this possible? It all comes down to Chobani’s values, and founder Hamdi Ulukaya’s belief that doing good is good business. 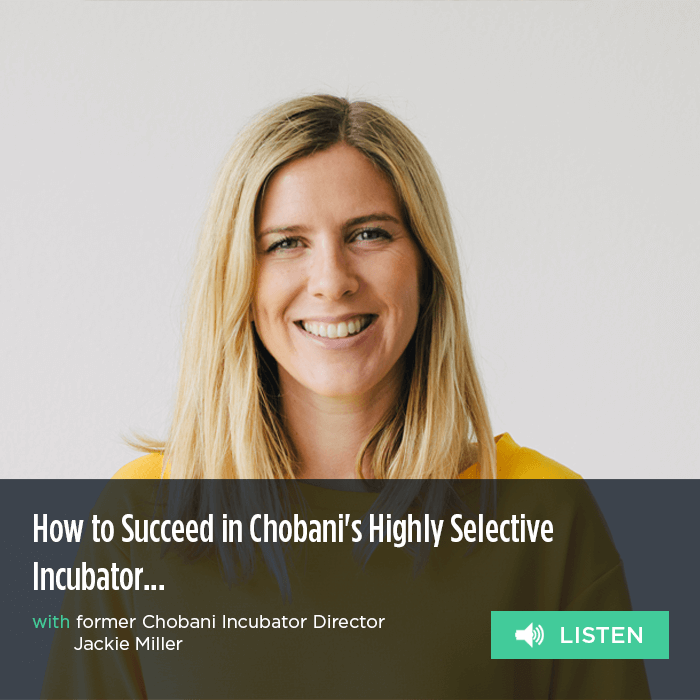 In this episode, Jackie walks us through the founding of the Chobani Incubator, and explains how your brand can gain acceptance to their highly selective program. One quick programming note – since recording the podcast, Jackie has moved on from Chobani. While she’s off on another mission-driven adventure, we all agreed that the content is still super relevant and valuable.